The Commencement Ceremony honoring the Peirce College Class of 2010 was exhilarating. 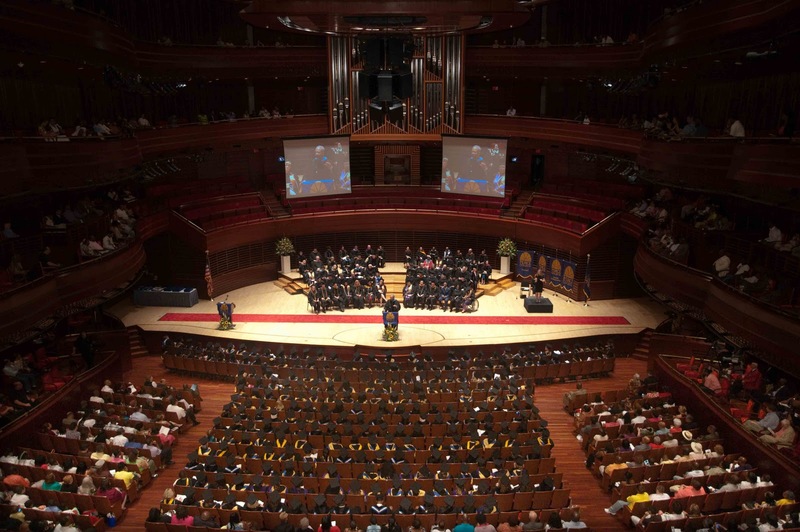 From the outset of the program, the graduates and their families and friends filled the Kimmel Center with energy, enthusiasm, and love. There are not many experiences in life as touching as a Peirce Commencement Ceremony. There are always many graduates who worked extremely hard and dealt with significant personal and professional responsibilities while pursuing their college degrees. The obstacles they faced make their achievements much more meaningful and emotional than most. That emotion plays out when they walk, or prance, or dance across the stage after receiving their diplomas to the delight of their loved ones. Although I’ve attended more than 20 Peirce Commencement Ceremonies in my lifetime, I look forward to them with great anticipation every year. They are so joyous and never cease to evoke the full range of my emotions. I always find a tear in my eye when I listen to the student speaker’s speech which usually talks about personal strife or a tragedy that they had to overcome to finally earn their degree. I also cry for joy when the students speak about the tremendous support they received from their families, friends, and Peirce employees. It fills my heart to be part of such a caring community. I smile a lot too, especially when I see the facial expressions of students, whom I’ve come to know from the hallways or Peirce events, receive their diplomas. Getting their 15 seconds of fame gives them such a feeling of satisfaction which makes all the hard work worthwhile. And, of course, there is plenty of laughter when the graduates and their loved ones express their excitement and have a good time openly celebrating success. Having been part of the higher education community for many years, I’ve attended several commencement ceremonies at other institutions. None have come close to having the energy and excitement of a Peirce ceremony. This year there were a number of people in the stage party, and on the guest list, who experienced a Peirce graduation for the first time. All were awestruck at the quality and festiveness of the event. This year’s ceremony was extra special for me because we had many student centered “firsts” during the ceremony. For instance, our student award winners sat in the front row on stage; a Peirce student, Raymond DeShields, sang the national anthem; one of the graduates, Gwendolyn McNuckles, introduced the keynote speaker; the award recipients gave acceptance speeches; and the graduates selected their own theme song (“I Believe I Can Fly” by R. Kelly). 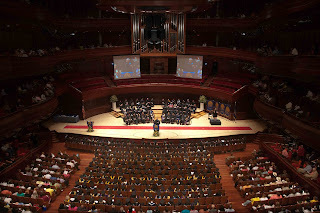 The student speaker, Holly Frey, and our keynote speaker, Congressman Chaka Fattah, connected very well with the audience and paid tribute to the significant achievements of our grads. The highlight of the evening was hearing the cheers erupt from the graduates and others in the audience when the degrees were officially conferred. After the ceremony concluded, I walked through the lobby of the Kimmel Center where many families were hugging and kissing the graduates. Cameras were flashing as pictures were being taken to commemorate the event. Once again, as I saw that look of satisfaction and accomplishment on the faces of the graduates, it made me smile. Peirce is truly a place where students, who might otherwise not be able to, fulfill their dreams of becoming college graduates. A sampling of photos from 2010 Commencement can be viewed in the slideshow below, or on the Peirce College Facebook page.